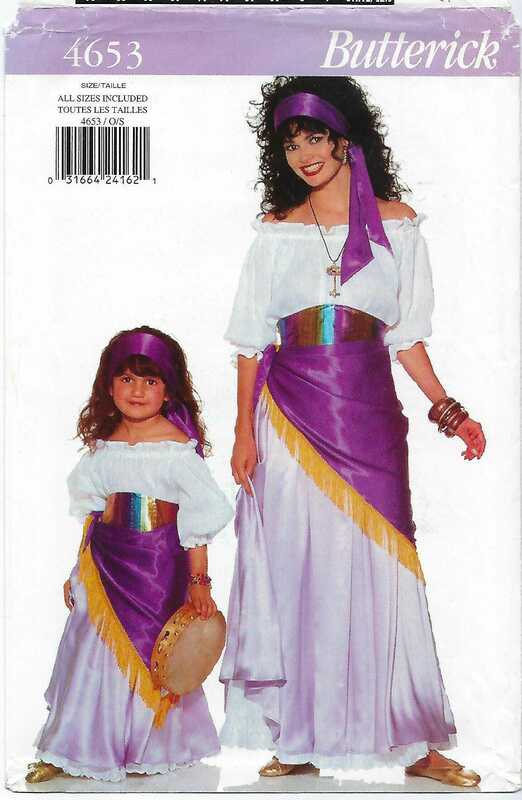 Package includes patterns and instructions to make MISSES / CHILDRENS Costume (Top, Coreslet, Skirt, Petticoat, Scarf & Headband.) **Envelope States All Sizes Included** Very loose-fitting, pullover top has elastic neckline and below elbow sleeves with elastic. Narrow hem. 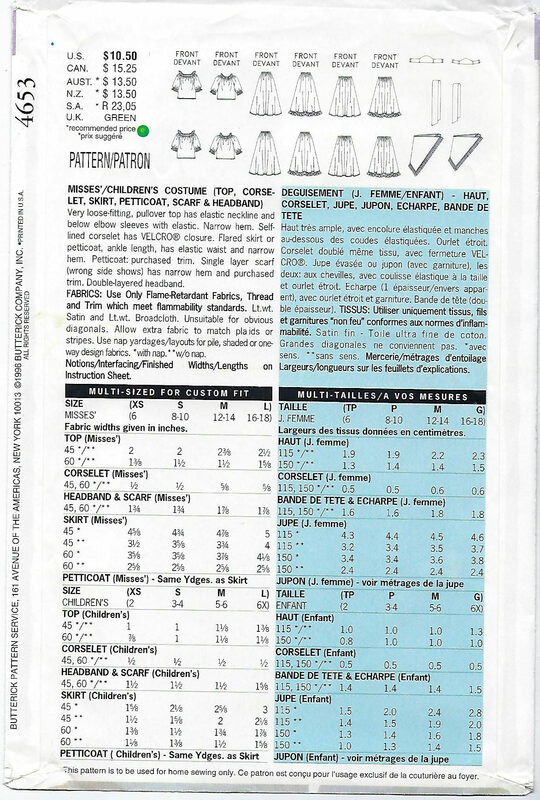 Self-lined corselet has velcro closure. Flared skirt or petticoat, ankle length, has elastic waist and narrow hem. 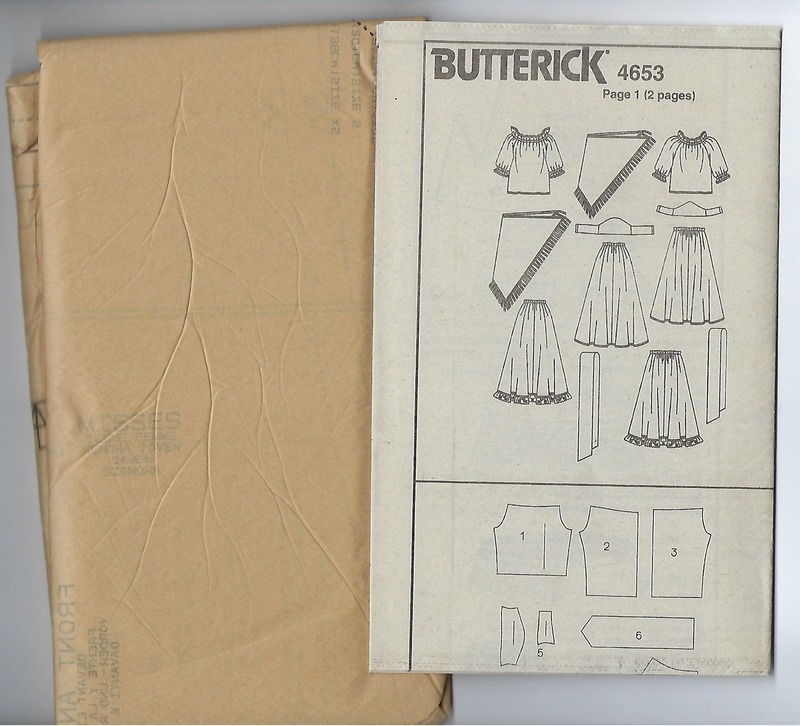 Petticoat: purchased trim. Single layer scarf (wrong side shows) has narrow hem and purchased trim. Double-layered headband.